Work on the Burryman project nears completion. We expect to release the film this spring, hopefully in time for Cannes 2015. The screening was a success, and by all accounts our film stood out from the other eight, both thematically and in its delivery. We got a lot of compliments and heard some sounds about distribution we hope to amplify. Wednesday was not a terrific one for long format film, but Emily saw a LOT of shorts, and was generally impressed by all of them. Today brought sideways rain and slippery cobblestones, but three times on the red carpet for the Canadian release "Mommy", Ken Loach's "Jimmy's Hall" and for the midnight screening of "Pyo Jeok", made it all worthwhile - not least for the fact that Emily can gift an orchestra ticket to one of the dedicated cinephiles who have been out getting rained on in their tuxes and sequins and waiting for a miracle. Another solid remote scriptwriting session brings us ever closer to our Mexican sleeper, and little left to do means we can enjoy the show until Saturday. Everything from here forward is a gift. A beautiful day in Cannes and our first day off since the festival started saw Geoffrey off to London and a little bit of good news in our pigeonhole. Wake the Dust screened in a showcase at the Short Film Corner yesterday about YouTube, and will be screening today in a lineup of women filmmakers as a part of a series of talks and screenings. Three films in one afternoon is a pretty good run for Geoffrey's last proper festival day. Dinner at Le Hit, our favourite restaurant, wrapped up a rainy day of cinematic voyeurism. "Jauja", Lisandro Alonso's surreal drama set in Argentina is both beautiful and bizarre, easily ranking with "Red Army" as one of our top films of the festival so far, followed by the less-than-touted "Bird People", about people who flake out on their lives in various ways in a Parisian airport hotel, and concluding with When Animals Dream, a Danish "Let the Right One In" meets "Teen Wolf" coming of age story that few survive. Today we will be tying up loose ends, preparing a script we are working on remotely for a possible co-production and Geoffrey will be headed back to dirty Londra. 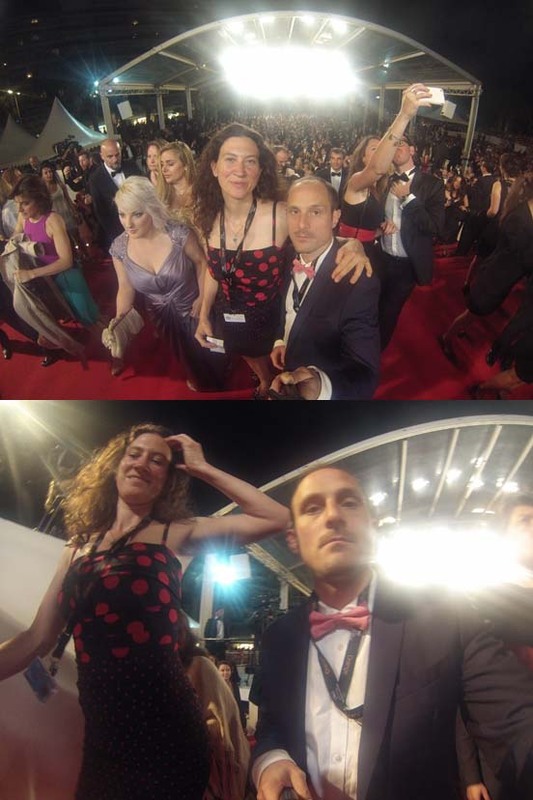 The cross-Cannes sprint (heels optional) brought us to two impossibly long queues, one of which turned us away within arm's reach of the door. The second, however, lead us to two of the last seven or eight seats in a surprise Korean John Woo-style crooked cop shoot-em-up (or blow 'em up, or stab 'em) called 'A Hard Day' that closed off the evening nicely, and earlier than planned. 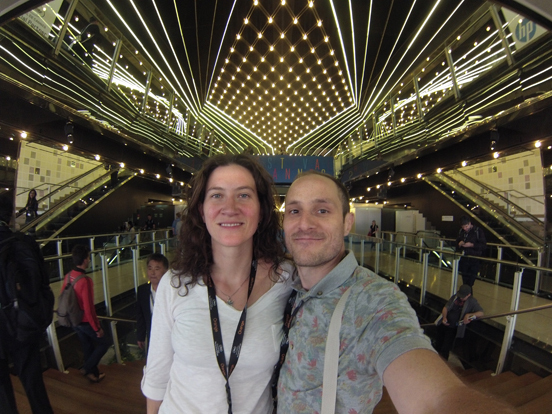 A late start in the morning, despite only a brief glimpse of sleep, brought us to the Grand Thèatre Lumière in the nick of time for a sun drenched red carpet screening of Tommy Lee Jones' directorial debut (The Homesman). Sadly, the sun put on a better show. Some nice food, frustrating misses and a few hundred minutes of queuing in the hot sun revealed our learned Englishness and our very last nerves, only to be soothed by a productive night of writing, working and strategizing for the upcoming week. Bring on a busy Monday! Stepped out onto the red carpet last night for Atom Egoyan's new film "The Captive", and, while it was an interesting film (stay tuned for reviews), it was somewhat eclipsed by Gabe Polsky's "Red Army", a doc about Slawa Fetisov and the Soviet hockey team. Slawa was in the audience and introduced the film alongside newcomer Polsky. "Red Army" was an engaging look at the drastic differences between the USSR and the West when it comes to method and ideology in sport, patriotism and politics, but it also showed the difficulties faced by the Russian star players when they first appeared in the NHL in the 90s. And on that note, GO HABS GO! A morning spent discussing the five best films of Terry Gilliam lead to a longer discussion about the nature of filmmaking and what makes a great director versus a great film. Either way, we must learn to love the hunt as much as the creative quarry, so this is the lesson we take into the field today. If all goes well on the work front this aft, tonight will be our first night on the Tapis Rouge. We're going to see the premiere of Atom Egoyan's new film The Captive. Also on the list for the day are a doc about the Soviet hockey team called Red Army that is definitely worth tag teaming the queue for a couple of seats. 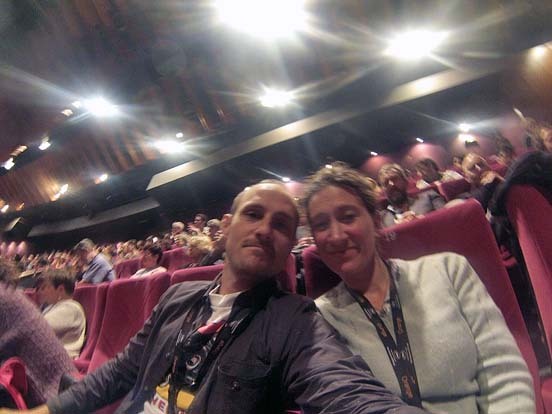 15 MAY 2014: Here we are at Cannes, once again for the 2014 festival, this time with our most recent film Wake the Dust. Emily finished Wake the Dust as the final film for her PhD exam in January, and we are happy that it has provided us with another opportunity to celebrate a productive year of filmmaking by artists and makers all over the world. 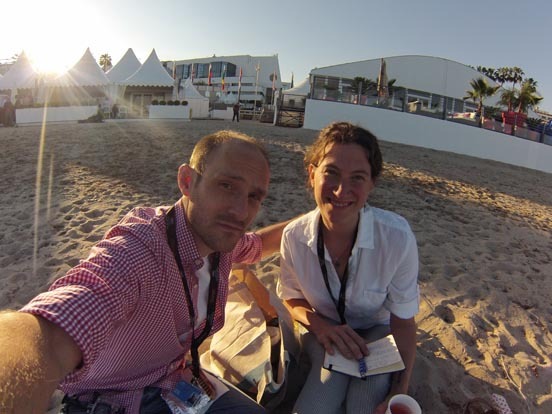 It is absolutely beautiful in Cannes, and we have already lined up some exciting meetings with possible collaborators for upcoming projects in 2014-15. Watch this space for pics, videos and film reviews! See you on the Tapis Rouge! 7 MAY 2014: Summer 2014 is to see the release of Mazibel's next film project, Burryman. Actor Angus Chisholm has just completed the voiceover for the film, which is set in Scotland's South Queensferry. Musician Eoghan Gallagher has signed on to do the original soundtrack. Stay tuned for more details.